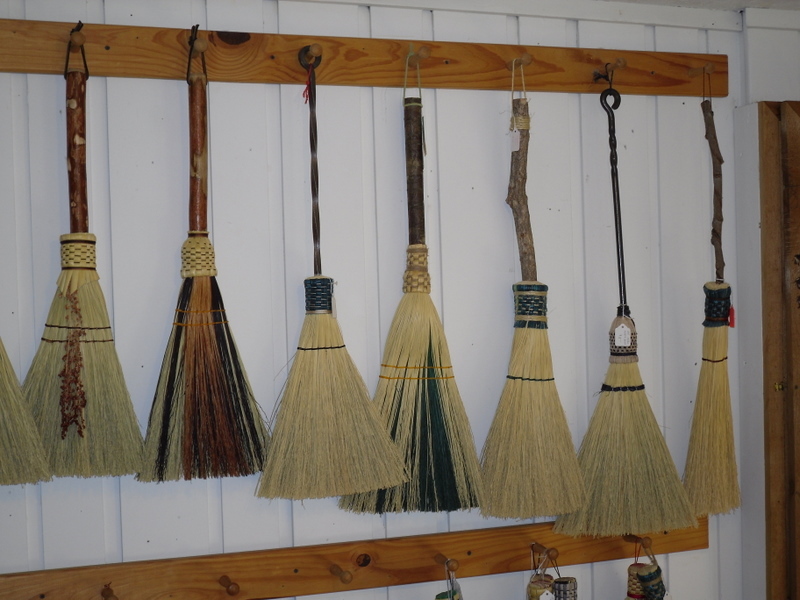 Hearth Brooms come in various sizes and shapes with different handles, too. 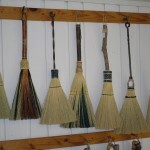 Here are some with wrought iron handles from the blacksmith at the Ozark Folk Center. Fireplaces and wood stoves are great things to have in a home. 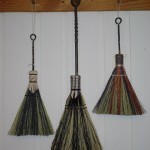 They not only provide warmth from a renewable fuel source, but also add a bit of rustic charm. Unfortunately, they also add a lot of debris from the wood and ashes. 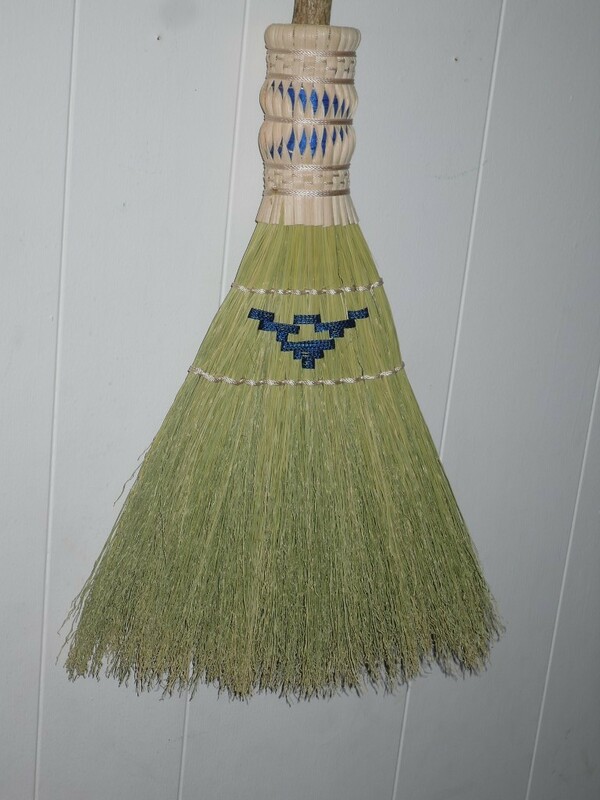 Of course, we know how to solve that problem – with a quality hearth broom! 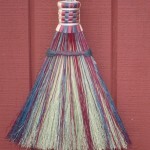 Our hearth brooms are made approximately 27 inches in length with an 18 inch handle. 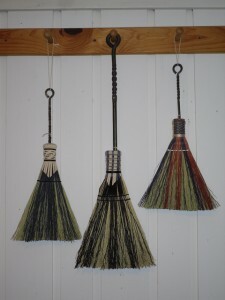 Handles can be from a set, handmade wrought iron from our (or your) local blacksmith, or wood. 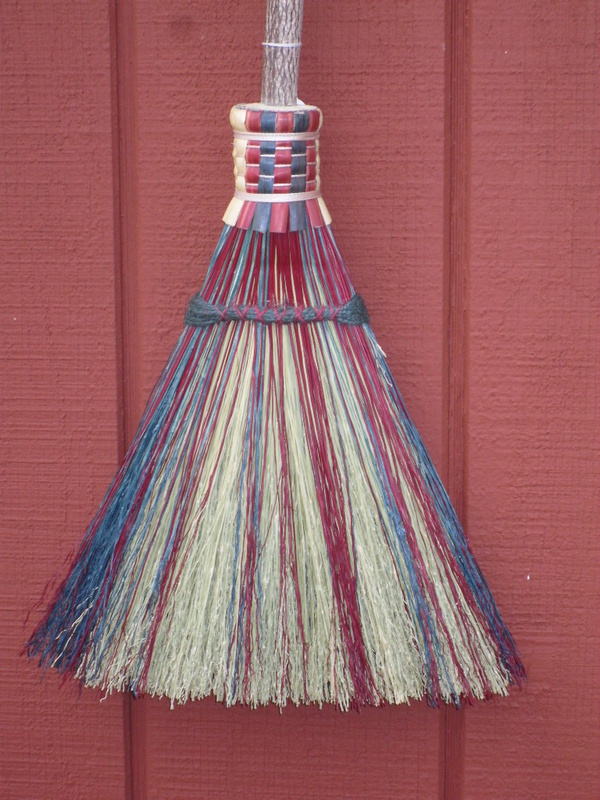 Like all of our brooms, our hearth brooms are double bound – once with stout 17 ga. galvanized wire, and again with twine and reed or stalk. Colors can be added to match most any decor, too. 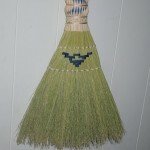 For a bit of added flair, we can also stitch a pattern into the broom.